There was another Buya Mthetho operation in Melville last night (7th Street, 4th Avenue & Main Road). The focus was on the more problematic bylaw compliance issues. Noise issues were also attended to and notices were issued. One specific “restaurant” on Main will be referred to land use law enforcement for operating illegally as a night club. Thank you to all those who participated, thank you Michael Sun (and his teams), also thank you to Ward Cllr Bridget Steer for her assistance and involvement. Thank you to those residents and businesses that are logging infringements with the relevant City of Johannesburg Department. As a reminder, once you do have a reference number please log it into our database to keep track of the complaints. Click here to submit to the MRA Database. This operation is conducted on a daily basis, as a ward based “raid” initiative. 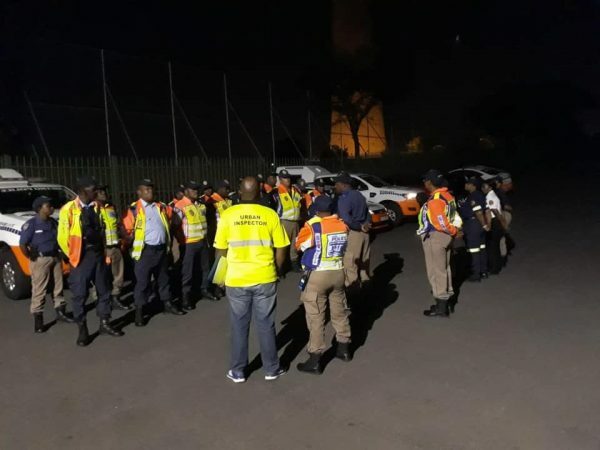 Operation Buya Mthetho is a joint operation between all key City departments and entities such as JMPD, Environmental Health, Social Development, Infrastructure Services, the City’s legal department, and Development Planning to name but a few. The operation’s main focus is to ensure city by-law are adhered to by all within the City and that the rule of law becomes the order of the day.